There has been a real explosion of blogs in the domainersphere over the last year. I don’t recall there being any blogs solely devoted to domaining a year ago, and now it seems that at least once a week I’m discovering a new domainer blog. To keep up with all of this, I’ve decided to create a list of all the domaining blogs that I’m aware of that are regularly updated (there are some great blogs out there that unfortunately, seem pretty much abandoned). I’m going to keep this list current, so if you know of any domaining blogs that I’ve missed that are regularly updated, please drop a note in the comments. Acro – Rants and raves about domains, business, PPC companies and social issues. Afternic DLS Blog – Company blog by the Afternic Domain Listing Service. Amazing Domains Blog – Blog with a United Kingdom orientation. Anti-Cybersquatting Blog – Professionally written by Traverse Legal, PLC, this blog deals with legal issues surrounding cybersquatting. Available Domain Names – Bill Eisenmann’s blog. Provides regular lists of domains that are available for registration as well as general domaining tips. Bob White – Bob White’s new domain blog. Circle ID – Community hub for the internet’s infrastructure and policies. Clicks and Bits – Shawn Hartley’s blog about domaining. Come Domain – Clasione’s blog covers the basics of the domain world. Conceptualist – Sahar Sarid’s blog about domaining and so much more. Dave Zan – Blog about domaining, with an emphasis on legal matters as they pertain to domains. David Carter – UK based blog by domainer and internet marketer David Carter. Dev Mobi – Blog about the development of .mobi websites. Direct Navigation – Domain industry blog featuring a taken or available quiz. DN Cartoons – Humorous domain cartoons. DN Kitchen – Commentary on what’s cooking in the domain industry. DN Underground – New blog covering the domaining industry, including topics such as avoiding scams, domain aftermarkets, flipping domains and more. DNFER – All about Domaining from Manjula Fernando in Sri Lanka. DNXpert – Regularly updated domain name blog. DNZoom – The official blog of DNZoom by Bido. Domain Bits – The blog you are reading. Well worth bookmarking and adding to your feed reader. Domain Blog – UK focussed blog that gives you the latest news and discussion in the world of domains. Domain Chest – New UK based domain blog. Domain Flipper – Adventure in domain name flipping by Morgan Linton. Domain Magnate – Michael Goldman’s domain blog, including comprehensive coverage of the NNNNN.com buyout. Domain Marketer – Where domainers share information. Domain Michael – Covering domain investing and monetization, including domain development. Domain Name Dispute Blog – Professionally written by Traverse Legal, PLC, this blog deals with the legal issues surrounding domain disputes. Domain Name News – Adam Strong and Frank Michlick present a destination to learn about the latest industry happenings. Domain Name Wire – Andrew Allemann’s industry news source. Domain News – Leading news source for the domain industry. Domain News 360 – Mark Mearin’s blog about domain names and domain investing. Domain Parking Money – Blog that reviews various parking services. Domain Pulse – David Goldstein provides the pulse on the domain name industry. Domain SEM – UK based blog covering domaining with a hint of search engine marketing. Domain Soil – provides up to the minute internet updates related to domain names, web hosting, and search engine optimization. Domain Times – Written by the Hon. Neil Brown, QC of Australia, this website deals with the issues that arise in the arbitration of domain name disputes. Domain Tweeter – A domaining and mini site blog that features weekly lists of keyword domains available for hand registration. Domain Week – Ryan MacDonald discusses domain acquisition, monetization, and development. Domainer Developer – A new domainer blog about domain name developing. Domainer’s Gazette – Domainer news, musings and odd ramblings by Peter Askew. Domainer Income – Blog that focuses on domain name investing. Domainer Pro – Chronicles of the domain name professional W. H. Abdelgawad. Domainer SEO – Writes about the intersection of domaining and search engine optimization. Domaining – Raymond Kay’s guide to buying, selling and making money from domain names. Domaining 2.0 – Domain industry website that aggregates all the industry headlines in one place. Domaining Tips – Lord Brar’s blog offers a number of domaining How-To-Guides. 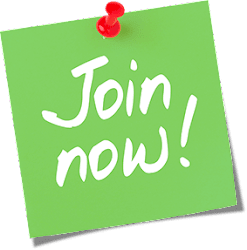 Domaining UK – Blog by an UK domainer. DomainJunkies – Rodney Blackwell’s blog discusses the ups and downs of being a domainer. DomainTools Blog – Jay Westerdal’s take on the domain industry. Dominik Mueller – Long time domainer Dominik Mueller’s blog. Dot Ca Domains – Canadian based blog by Robert Borhi. Dot Me, Of Course – Domain blog devoted to .me domains (with information about .ly domains as well). Dot Mobi – Blog about dotMobi and mobile content. Dot Weekly – Jamie Zoch’s blog offers domain news and domain help. DotMobiz – Coverage of .mobi domain news, auctions and sales. DotSauce – A domain news magazine by Mark Fulton. E3 Auction – Nick Wilsdon’s domain news blog. Electron – Joe Davidson’s blog about the internet economy. Elliot’s Blog – Elliot Silver is a prolific blogger with lots of insightful posts. FKA200 – Sammy Ashouri’s blog about domaining and the internet. Fractional Domaining Blog – Neal Voron’s blog looking at the world of buying, selling, owning, developing, and monetizing fractional domains. The Frager Factor – Owen Frager’s eclectic blog often covers domaining from an unique perspective. Generic cctlds – Blog covering the cctld market, including .cn, .de and .in domains. Get Domains – Domain blog discussing industry news, coupon codes and available names. Good Url Bad Url – Aaron Goldman’s blog for URL-aholics. Green Taxi – Blog by Conor Neu. The Hot Iron – Mike Maddaloni’s blog about business and technology. Contains significant articles about domains. ICANN Blog – Keep up with what ICANN is up to. Inside Domaining – Steve Granville-Smith’s online source to the domain space – “This is your time – you were born to be a domainer. Invest In Domains – Brad provides lots of tips about investing in domains and becoming a domainer. I Squatted Your EU – News and discussion about the domain name industry in Europe. Is It Me Or Is Everyone Else Stupid? – Julia Mackenzie’s musings on domain names and internet marketing. Logistik Labs Blog – Covers the domain industry and offers domaining tools. LLLL.com – The authority on short and four letter domains. Mister.us – Brings you news and coverage of the .us domain extension. Modern Domainer – Source for domain related news. Ms Domainer – New and outspoken voice in the domainersphere. MyID.ca – Canadian auction blog. Name Blog – News and sales from the domain industry in the United Kingdom. NameBait – Baitshop for domainers of the world by Jason Barrett. NameBio – Justin Allen explores issues relating to domain name sales, patterns and trends. NameDrive – Blog that provides domain news updates. Names at Work – Blog that has a strong focus on new TLDs. Namewise Blog – Blog in both German and English. Newfound Names – Domaining blog by Newfound Names. Oz Domainer – The word on domain names from down under by Ed Keay-Smith. Predictive Domaining – Barry Goggin’s predicts what will be valuable domain names in the future. Rick Latona – Domaining blog by entrepreneur Rick Latona. Rick’s Blog – The Domain King’s thoughts on domains, traffic, closing more sales, business and marketing. 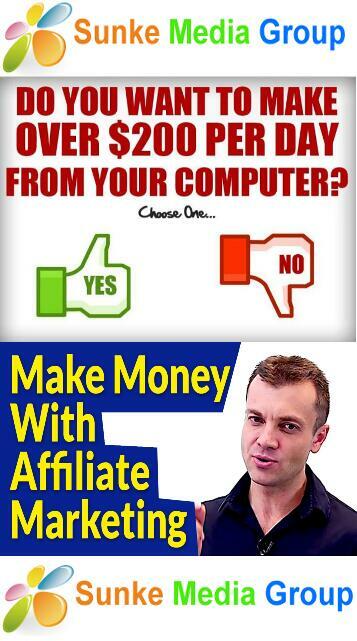 Scott Fish – General internet business blog with substantial domaining content by Scott Fish. Self Made Minds – Run by Al Carlton and Scott Jones, this blog discusses domaining and being an internet entrepreneur. Seven Mile – The official Frank Schilling blog. Frank is one of the most successful domainers in the industry. Simply Geo – Steven Morales’ blog about the geo domain niche. Success Click – Stephen Douglas’ new blog about the domain industry. Supernatural Agency – blog about Domaining, monetization strategies, search marketing and Internet entrepreneurship. The Critical Post – Provides news and commentary on the domain industry. The Domains – New blog covering the domain industry. Tia Wood – Domain blog that presents an unique perspective. Trend Domaining – Scott Griffes’ blog provides coverage of the latest trends that can be applied to the domain industry. Unplain – John Bomhardt’s views on domaining. Url Academy – Andy Kelly’s blog about all you need to know about domain names. Url Kazoo – Covers domain news and domaining tips. Web Publishing Blog – Andrew Johnson’s blog about the internet, with lots of articles about domaining. WebDotGeek – Blog by Abhishek Jha, a university student in India, about the domain business and industry, and web monetization. Whizzbang’s Blog – Michael Gilmour’s resource for domain name owners. World’s Worst Domain – Domain blog written from an interesting angle with a lot of humor added. 4 Letter Noob – A blog about LLLL.com domaining. DN Hour – Digg style news site where you can submit and vote on stories from domain blogs. Also, not really a blog, but required reading is DN Journal.